A bunion is a bone deformity caused by an enlargement of the joint at the base and side of the big toe (metatarsophalangeal joint). 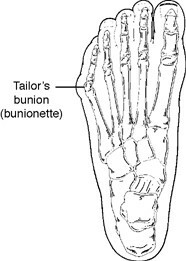 Bunions form when the toe moves out of place. The enlargement and its protuberance cause friction and pressure as they rub against footwear. Over time, the movement of the big toe angles in toward the other toes, sometimes overlapping a third toe (known as Hallux Varus). The growing enlargement or protuberance then causes more irritation or inflammation. In some cases, the big toe moves toward the second toe and rotates or twists, which is known as Hallus Abducto Varus. 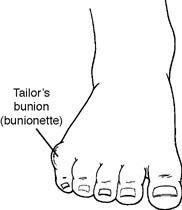 Bunions can also lead to other toe deformities, such as hammertoe.